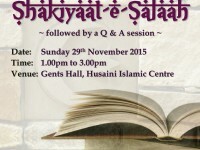 Ladies Tableegh invites all sisters to attend an interactive Fiqh seminar with Mu’allama Taherabai Jaffer on Sunday 29th November 2015 from 1.00pm to 3.00pm. 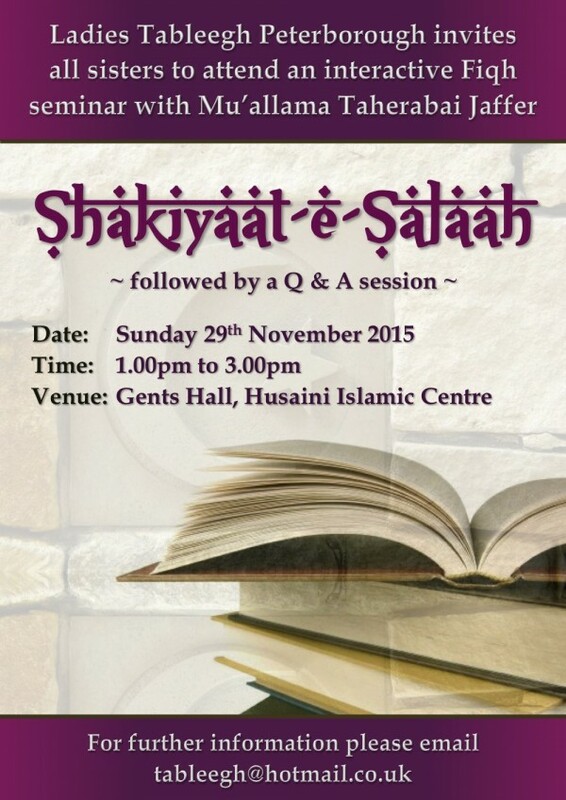 The seminar topic is Shakiyaat-e-Salaah and will be followed by a Q & A session with our respected speaker. 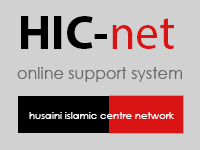 For further information please email tableegh@hotmail.co.uk.